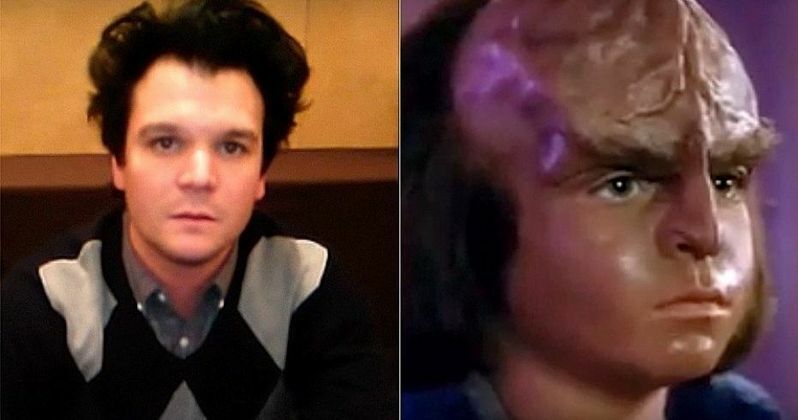 Jon Paul Steuer, former Star Trek actor, has passed away at the age of 33. The cause of his death has not been revealed at this time. Steuer died on January 1, as revealed via a Facebook post by his bandmates in the Portland rock band P.R.O.B.L.E.M.S. Here's what they had to say about his passing. "It is with heavy hearts and saddened minds that we announce the passing of our dear friend and singer Jonny Jewels, AKA Jon Paul Steuer. The addition of Jonny to our dysfunctional band family was one of the best choices that we have ever made, and he brought a much needed sense of fun and lightheartedness to everything we did. He was only with us for a little more than a year, but we managed to cram a lifetime of great experiences into his tenure as our singer: dozens shows at home in Portland and across several states, an amazing European tour, and our best full-length release yet. We've lost our singer, but far, far more than that we've lost a friend. Rest in peace, Jonny...we love you." As an actor, Jon Paul Steuer got his big break portraying the Klingon Alexander Rozhenko, son of Worf and K'Ehleyr in the Star Trek universe, on the episode of Star Trek: The Next Generation, Firstborn, which aired in 1994 as part of the show's seventh and final season. He was just 6-years-old at the time. Several other actors have played the role of Alexander in Star Trek in the years since. Following his appearance on Star Trek, Jon Paul Steuer landed a major role on the Chuck Lorre series Grace Under Fire. For 73 episodes, he played Quentin Kelly, son of Grace Kelly, who was played by Brett Butler. He left the show in 1996 at age 12. Sam Horrington replaced him as Quentin for the final three seasons of Grace Under Fire, which went off the air in 1998. Steuer then transitioned into a music career, eventually becoming the singer for P.R.O.B.L.E.M.S. In addition to his roles on Star Trek and Grace Under Fire, Jon Paul Steuer is also known for his roles on the TV series Day by Day and in the movie Little Giants. Steuer also had a music group, the Soda Pop Kids, from 2003 to 2009. The actor also opened a vegan restaurant, Harvest at the Bindery, Portland, Oregon in 2015. RIP, Jon Paul Steuer. You can check out the full post from his bandmates on the P.R.O.B.L.E.M.S. Facebook Page for yourself below.